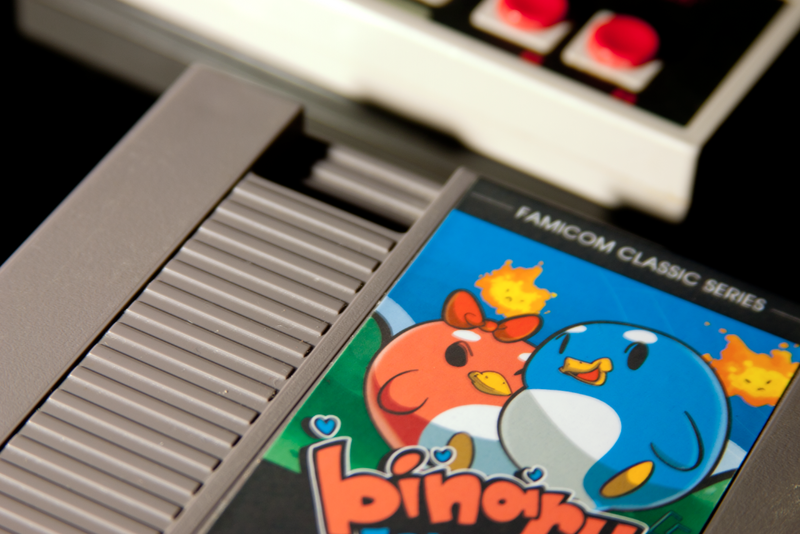 Here's an old thing I'm reposting because I finally took photos of it (the previous entry used a mockup image). 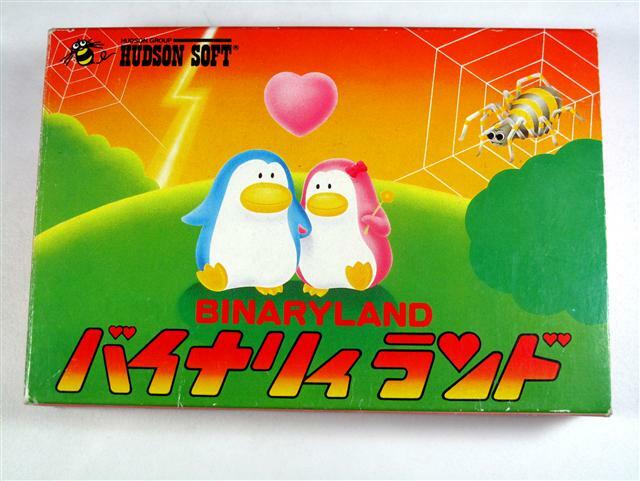 Binary Land is probably the best penguin romance game I've ever played. 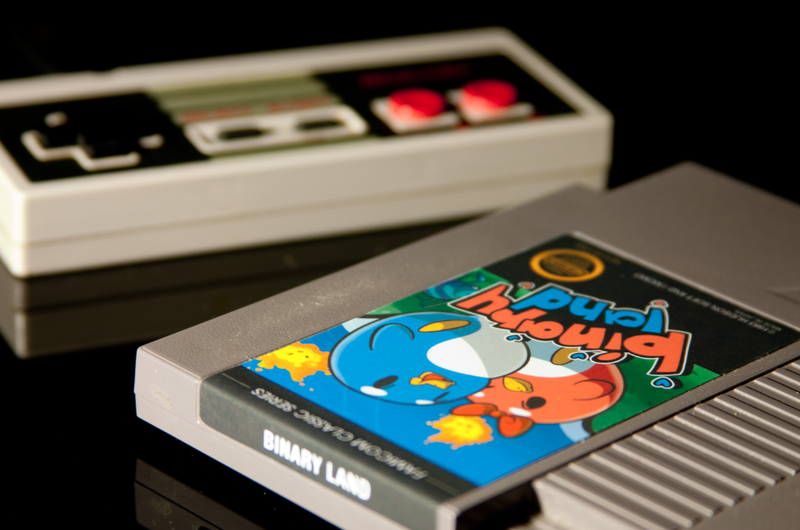 To be fair, I now think the original art is kind of awesome. But it creeps me out. I liked the game enough to make a new label to show my appreciation. It turned out pretty cute, but I wanted to keep the same sense of impending death with the flying fireballs and spiders from the game. Oh, it's surrealness has grown on me over time. The red sky and lightning bolt (which doesn't even appear in game) is kind of nightmarish though! Thanks for the comment. Actually, finding your post about this label back in the day is how I rediscovered your blog after losing it for a long time, haha.